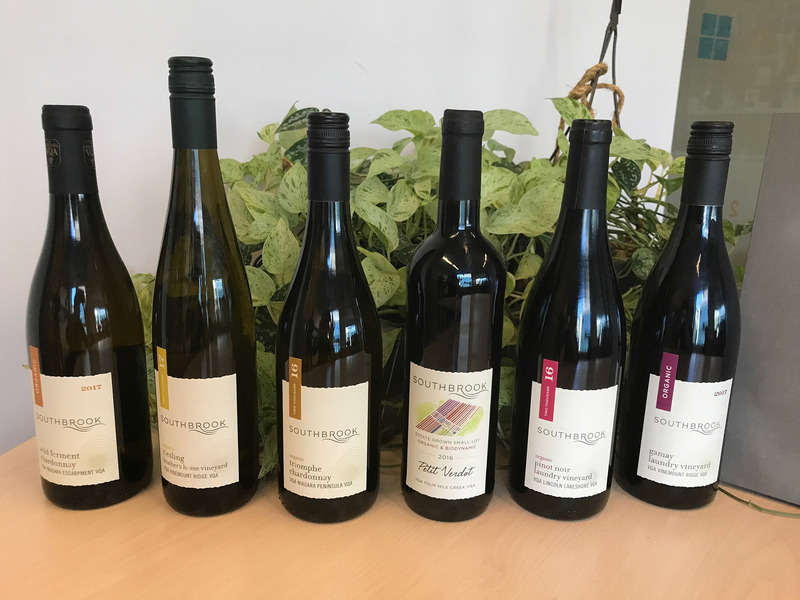 We were proud to feature Southbrook Vineyards in February 2019. Southbrook Vineyards is the epitome and evolution of Bill Redelmeier’s love story with wine, the land, and all things “local.” The winery is situated on a 150-acre vineyard in the heart of the Niagara Peninsula wine region of Ontario, Canada. We produce organic and biodynamic wines that earn recognition, from critics and consumers alike, year after year. From their purchase of the Niagara-on-the-Lake vineyard in 2005, the Redelmeiers committed their energies to sustainable viticulture. By 2008, they had created the first wine estate in Canada to earn both organic and biodynamic certification for its vineyard and winery. Nose: A rich, spicy bouquet of peach and melon. Palate: Medium- to full-bodied, orange and pineapple flavours with a toasty oak note, voluptuously round mouth-feel and great persistence. Quality: Outstanding quality. Drink now and into 2020. Food Pairing: Sheep’s cheese soufflé, lobster roll, Cornish hen with wild mushrooms, hazelnut crusted pork loin with wild rice, sea bass with fennel purée. Palate: Light- to medium-bodied, dry, lean and sinewy, sour cherry flavour carried on lively acidity with a touch of tannin on the finish to give the wine structure. Quality: Very Good+ quality. Serve lightly chilled or at room temperature. Drink now. Appearance: Light straw in colour. Nose: A minerally, lightly floral, grapefruit nose with a suggestion of petrol. Palate: Light-bodied, just off-dry, lovely mouth-feel, with grapefruit and lime flavours and a touch of honey. Great length on the palate. Quality: Outstanding quality. Drink now or through 2020. Food Pairing: White pizza with brie and figs and a drizzle of honey, spicy Thai noodles, crispy pork belly with soy and roasted butternut squash, sushi, grilled whitefish with garlic and pepper and a squeeze of lime. Appearance: Deep ruby in colour. Nose: High-toned, black raspberry nose with an earthy, forest floor note. Palate: Medium-bodied, dry with a candied raspberry flavour and a tannic lift on the finish. Quality: Very Good+ quality. Drink now to 2020. Food Pairing: Peking duck, garlic and herb roasted pork tenderloin, salmon wellington, bacon stuffed mushrooms, roast beef with mashed potatoes and roasted root vegetables. Appearance: Bright, medium straw colour. Nose: Apple, toast and oak spice on the nose. Palate: Medium-bodied, dry, apple and lemon flavours with an appealing apple blossom note; well-integrated oak with a long, fresh finish. Quality: Outstanding quality. Drinking well now and for the next couple of years. Food Pairing: Leek and mushroom strata, salmon fish cakes, pumpkin ravioli, Caesar salad, grilled scallops with butter sauce, grilled veal chops with mushrooms. Appearance: Dark ruby in colour. Nose: Lightly spicy, cedary, sweet tobacco and plum bouquet. Palate: Medium-bodied, dry, fruity but firm with a lovely note of violets in the rich plum flavour. Evident tannins on the finish but they’re ripe and forgiving. Quality: Outstanding quality. Drinkable now, but will reward a year or two in the cellar. Food Pairing: Grilled lamb chops with mint, barbecued hamburgers & sausages, tangy spare ribs, grilled portabello mushrooms & eggplant, five bean chilli.